Cancer patients will have to wait until November 2017 to use the Radiotherapy Machine. 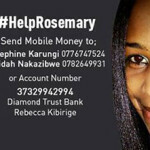 In a statement tabled on the floor of Parliament this afternoon by the State Minister for Primary Health Care, Joyce Moriku, there are a number of steps to be conducted before patients writhing in pain at the Cancer Institute can use the machine. Ms Moriku informed MPs that works by Arab Contractors to refurbish the old Radiotherapy bunker was completed in April 2017. Additionally, she said, final inspection of the bunker by the Atomic Energy Council to assess its readiness to receive the Radiotherapy Machine per IAEA recommendations was carried out in May 2017. According to Moriku, the inspection turned out positive and the International Atomic Energy Agency (IAEA) informed by the Atomic Energy Council in Uganda that the Bunker was ready. Following the secondment by the parent body in Uganda, the IAEA authorized the manufacturer to ship the machine. 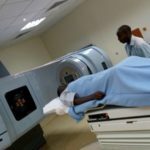 In her statement, Moriku informed MPs that the machine is expected at Mombasa port on July 28, 2017 and Ugandans can have a glimpse of the machine upon arrival in Kampala at Uganda Cancer Institute in the first week of August 2017. Following the arrival, installation will then commence and is anticipated to take 4-6 weeks. After the successful installation, ‘acceptance tests’ will be conducted for one week by IAEA. This will then be followed by the commissioning process which will involve the visit and assessment of the machine by four IAEA teams before it is fully commissioned for clinical use. A team comprising of IAEA Radiation Therapy Technicians, Medical physicists, and Radiation Oncologists will come in to assess the safety of the newly installed machine. 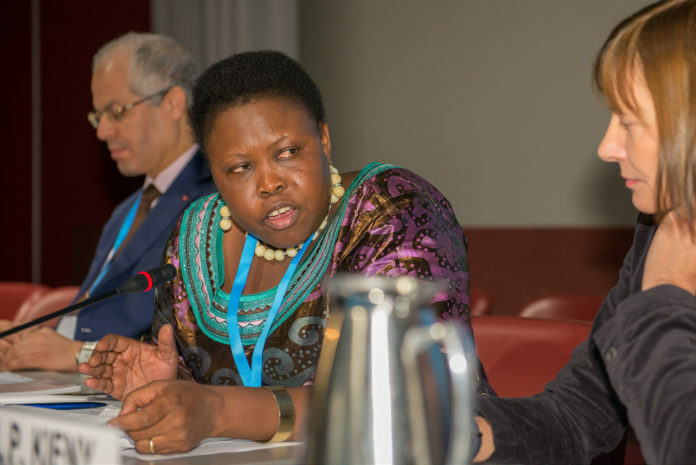 The Uganda Cancer Institute team will be required to radiate a set of specific Thermo luminescent dosimeters which will then be sent for auditing purposes to IAEA in the final assessment of the safety and efficacy of machines. Authorization to possess the nuclear has been requested for from Atomic Energy Council is awaited. Commissioning and service reestablishment is expected to be completed by first week of November. Full time clinical usage of the radiotherapy machine will therefore commence in the first week of November.